When I was eight years old, my mother gave birth to another boy. I had wanted a sister. When 2009 came and my mother was pregnant again I was happy with my brothers because they loved me and they played with me, but I still wondered if I could have a sister. I wanted a sister because I was bored with my brothers. But I am the oldest child and I wanted to know what was right. Did my parents behave the same as other people? I saw people’s reactions when a new baby girl came into the world. They acted sad and wished aloud that they had a son or brother. They wanted a girl who would work at home, tell them to wash, to clean up. But I think a daughter is the same as a son. She has to have equal rights too. One day all of my relatives came to my house. I played with them and we watched scary movies at night. At 6 a.m. my mother went to the hospital and when she came home, in her arms was the new baby. I thought it was my sister. I was really happy, but then my aunt told me I had a new brother. I didn’t play or watch movies or eat lunch. At night, my father brought me chocolates, and said, “Did you see your brother?” I said, “No!” He told me to go and see him. When I went to see the baby it was a girl. The baby was my sister and I screamed with happiness. I felt like I was flying. Now my sister is five and she is a clever child. She is in second grade and in the top position. When she grows up, I will share with her everything that happened in the past, and help her study. I am really proud of my family because they love my sister and me as much as our brothers. This is such a lovely story. I also have brothers and a sister who I love very much. When I was young I enjoyed playing with all of them. Now i’m older my sister is so different to me but still one of my best friends. She’s also like another mother for my daughter. I think my daughter and I are really lucky to have her. Women are wonderful. I know where you live the perception of women is very different from here in Australia, where I am. 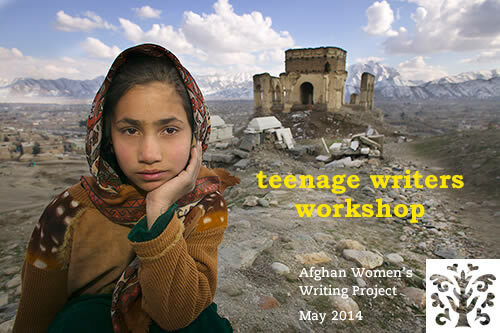 I think your country has such a wonderful future because there are so many clever, strong women like you and other women in the Afghan Women’s Writing Project. You are all very inspirational to me. You remind me to appreciate the most important things in life – like sisters. Thank-you for writing and keep studying hard and encouraging your sister at school. Deeply inspiring words here, Shahida! Your sister is so lucky to have you as such a brilliant and strong woman to look up to. Thank you again for sharing your story and working so hard on this piece. Beautiful work! I proud of you and your work Shahida, it’s an amazing story. Your wording and worldview especially regarding the sense of equity is so impressive. Thank you for sharing your deepest thoughts with us. It is surely beyond doubt that you are going to be a wonder sister and a strong women. I’m waiting your new works impatiently. Thank you so much for sharing your story. I hope you will continue to write – especially about things that matter deeply to you. One day, girls like you will change the world for the better. I wish you love, peace, freedom and a long, happy writing career. you wrote such a powerful and perfect essay or story, I love your writings you too! We always individually think that our families are the best in where we live, you do, I do and everyone else does, and then when we see at SOLA, that everyone has a supportive family who support them all the time. Your family is one of the proud families of SOLA community. We need families like yours, and mine. thanks be to all of them.